Dolores Cannon (+ 18 Oct. 2014) was a past-life regressionist and hypnotherapist who specialized in the recovery and cataloging of "Lost Knowledge". Her roots in hypnosis go back to the 1960s. She had been specializing in past-life therapy since 1979. Dolores has become, perhaps, the world's most unlikely expert on the prophecies of Nostradamus. A retired Navy wife from Huntsville, AR, USA, Dolores was nearly fifty years old when she began experimenting with hypnosis and past-life regression. The results were, to say the least, quite spectacular! Working through several different subjects, Dolores was able to establish communication with the living Michel De Notredame, better known as the prophet, Nostradamus . His revelations and their impact on ourown time are both fascinating and at times frightening. Dolores has written the three volume set "Conversations With Nostradamus" , the series on the translation of Nostradamus' quatrains. This series contains the translation of almost 1000 prophecies, all interpreted for the first time and have been in print since 1989. It is considered the most accurate interpretation of the prophecies ever printed. Dolores has been a UFO investigator for twenty years, using her skills as a regressionist to help people that had been involved in abduction cases. She has written several books on the UFO information volunteers have revealed while under hypnosis. Her last book, "The Convoluted Universe, Book One" , goes further into complex metaphysical theories and covers "mind-bending" concepts. Dolores has toured in the USA, England, Europe, the former Soviet countries, Australia, New Zealand, and parts of Asia to promote her works, and to discuss her particular brand of psychic research. She has spoken to radio and television audiences worldwide. She has given lectures at such locations as: Whole Life Expos in Los Angeles, New York and San Diego; Global Science Congress; various A.R.E. Edgar Cayce Foundations; Conscious Living Expo and MBS Expo in Australia; The College of Psychic Studies in London, England; The Theosophical Society in London, England; as well as many other organizations. Dolores was the firstAmerican and the first foreigner to receive the "Orpheus Award" in Bulgaria, for the highest advancement in the research of psychic phenomenom. Articles by/about Dolores have appeared in several magazines including: "Body, Mind and Spirit"; "Magical Blend"; "Connecting Link"; "Kindred Spirit" (an England magazine); "People Magazine" (an Australian magazine); "Conscious Living Magazine" (an Australian magazine); "After Dark" (the Art Bell magazine); "The Unknown Magazine"; "The Washington Post"; and "New York Times". Also magazines and newspapers in Russia, Spain, South America, Bulgaria, Japan and Arab countries. Dolores has appeared on various TV specials including: "A Current Affair" (in Australia); BBC Documentary Series "Divine Magic"; "Ancient Mysteries of the World" (a two hour special on CBS); "Ancient Prophecies I and Ancient Prophecies II" (two hour specials on NBC); "Encounters" ( a one hour special on FOX network); "Good Day LA" (in California); "Mysteries, Magic and Miracles" (the Sci-Fi Channel); "Marilu Talk Show" (ABC); "Biography" (series on A&E Channel); "America After Hours" (CNBC); "CNN International Entertainment News"; "The Wisdom Channel" (Correen Edwards); and "The Fox Family Channel". 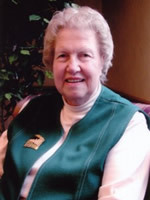 Dolores was contacted regularly to appear on various shows about Nostradamus because she is considered to be the world's foremost expert on the prophecies. Dolores has done over 1000 radio talk shows including Art Bell's "DreamLand" and Shirley MacLaine. deals with the abduction phenomenon. (*) Contains topics that are relevant for exopolitical studies. Dolores Cannon developed a unique brand of hypnotic regression for obtaining information from past lives. She used the technique to access the memory of an individual who was killed by the atomic bomb at Hiroshima ( A Soul Remembers Hiroshima ) and another who witnessed the crucifixion of Christ ( Jesus and the Essenes ). Keepers of the Garden is her first encounter with a person (the subject, Phil) who regressed back to a non-human, extraterrestrial life. Most of Dolores' work is done while the subject is in a somnambulist state, however Phil retains part of his here-and-now consciousness making the transmission part hypnotic regression and part channeling. Phil channels an extraterrestrial race while under hypnosis and gives their perspective on the current state of affairs on Earth. Phil first describes a number of foreign planets he has been on for various assignments. As he becomes more comfortable in the alien consciousness, he finds himself on his 'home' planet. Although the planet itself is physical, the inhabitants are not. Some information is given on the energetic nature of these beings, but more importantly information on their involvement on Earth at this time (including a fascinating perspective on the Washington Monument). Phil indicates that the earth was seeded eons ago by travelers from outer space. These visits by ancient extraterrestrials did not end with their intervention in human evolution. Some of these 'starpeople' have incarnated as physical humans to help Earth through this difficult period in history.